I have this record and love it. Back when I lived in LA, I used to get used records at DB Coopers. 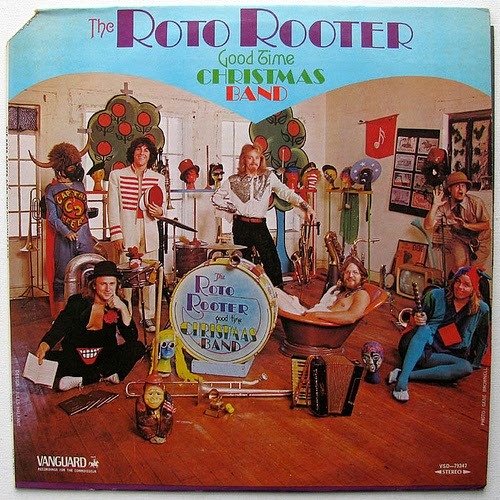 The guy told me he was part of the Roto Rooter Good Time band. I didn't know at the time that they were the ones who did all the jingles on The Doctor Demento Show. I haven't heard the Van Halen Happy Trails. But there is, of course, the Quicksilver Messenger Service version on the album of the same name. A beautiful cover picture too. Then the search is on! I'll let you know if I ever find it. Thank you so very much for this! It was indeed wonderful! Is there any chance of you re-uploading this album? The Zippyshare link has expired.